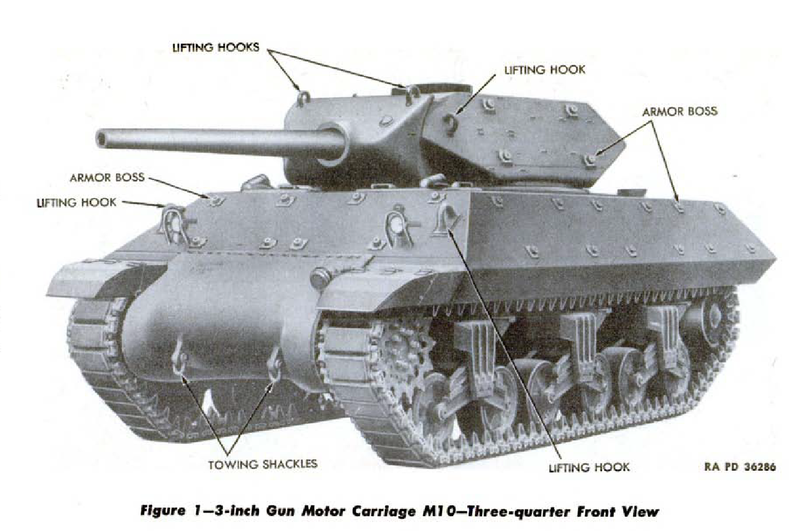 The M10 was a tank destroyer mounting a 3-inch anti-tank gun and was known as the M10 3 inch Gun Motor Carriage during the war, or M10 GMC. 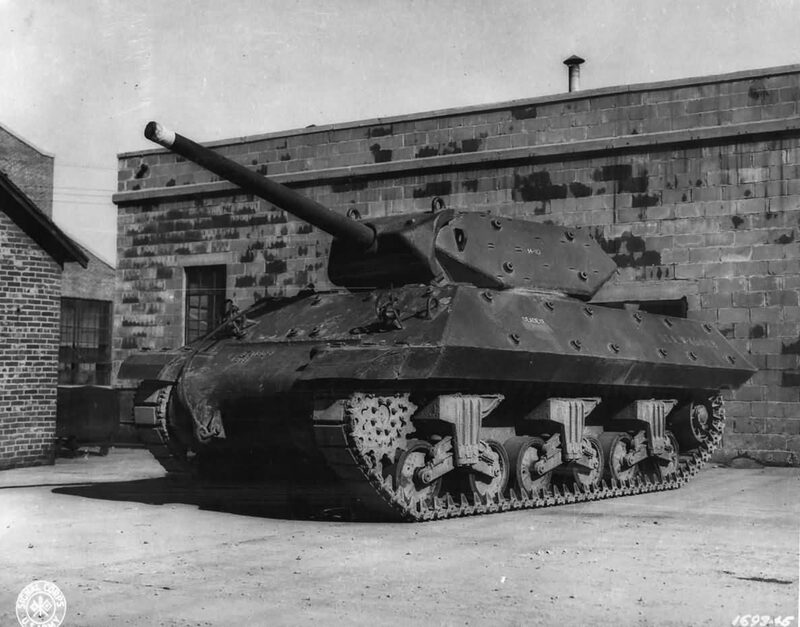 It used the M4A2 chassis with the GM 6046 to power it, with a new lighter upper hull and turret. 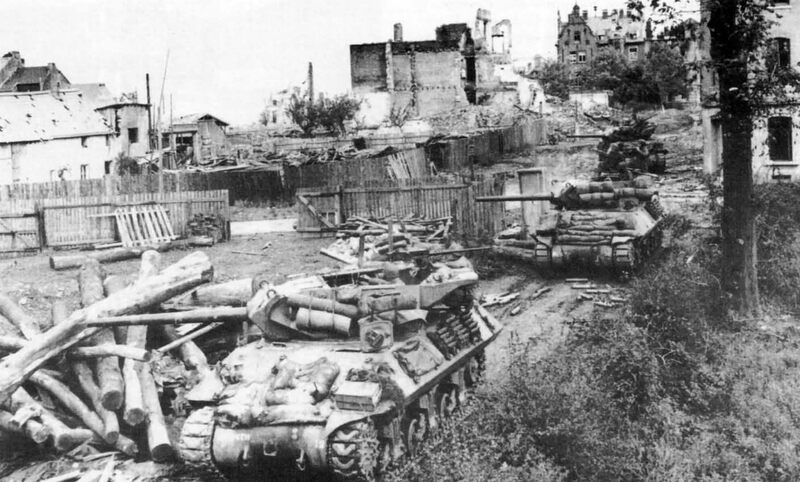 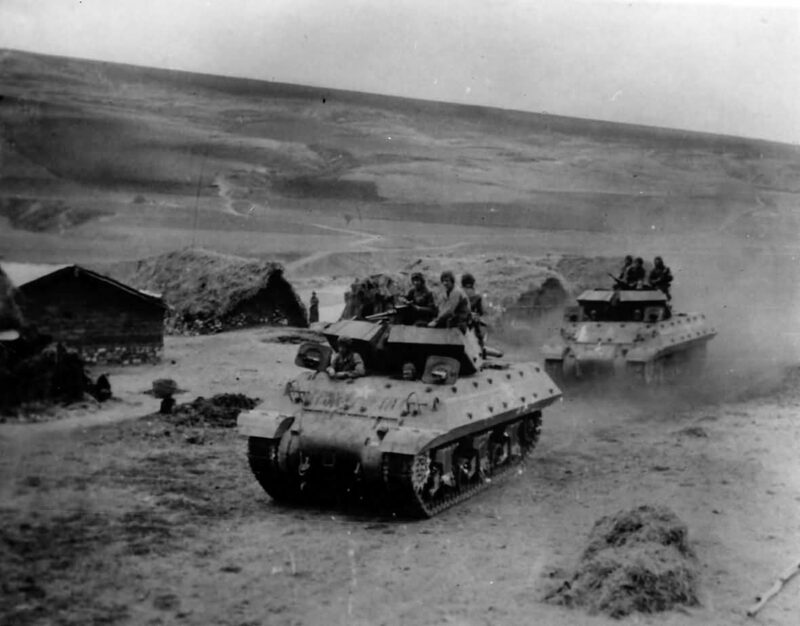 These tanks only had an M2 .50 caliber machine gun other than their main gun. 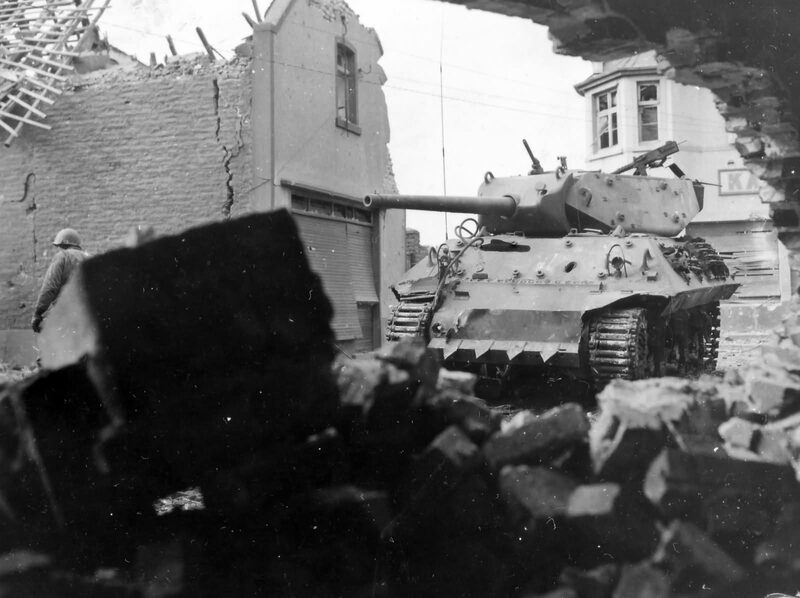 The turret lacked power traverse. 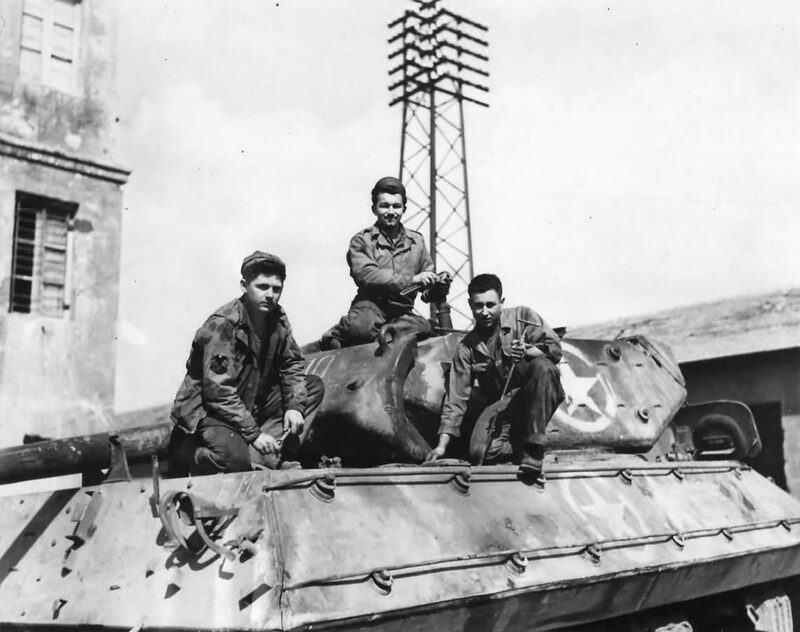 It had a five-man crew and was generally liked by its crew. 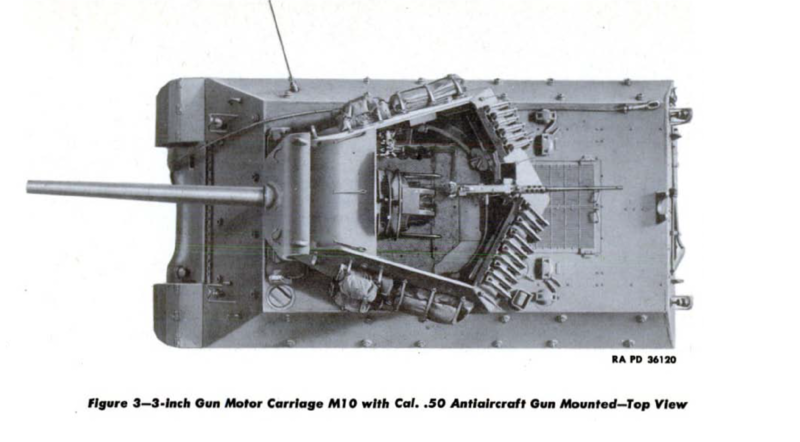 One aspect of the design that shows how rushed it was are the driver’s hatches. 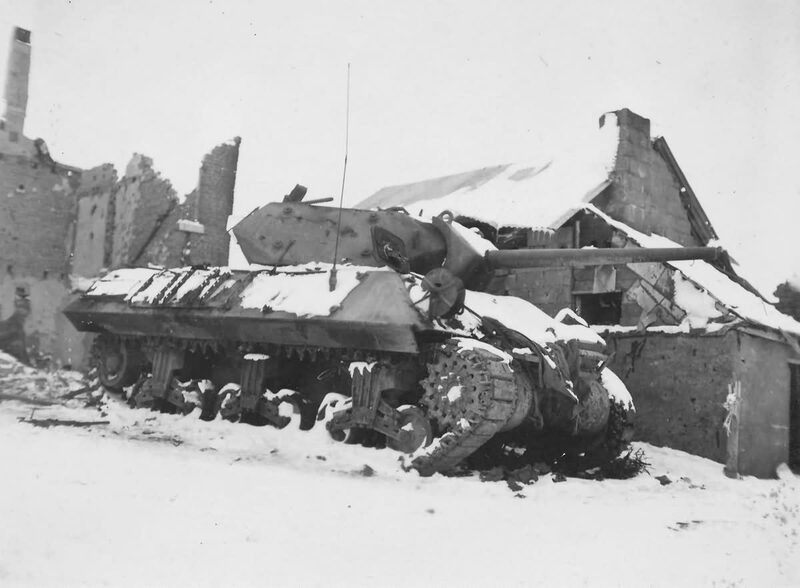 They were larger than the Shermans produced at the same time, but could not be opened or closed if the turret was forward. 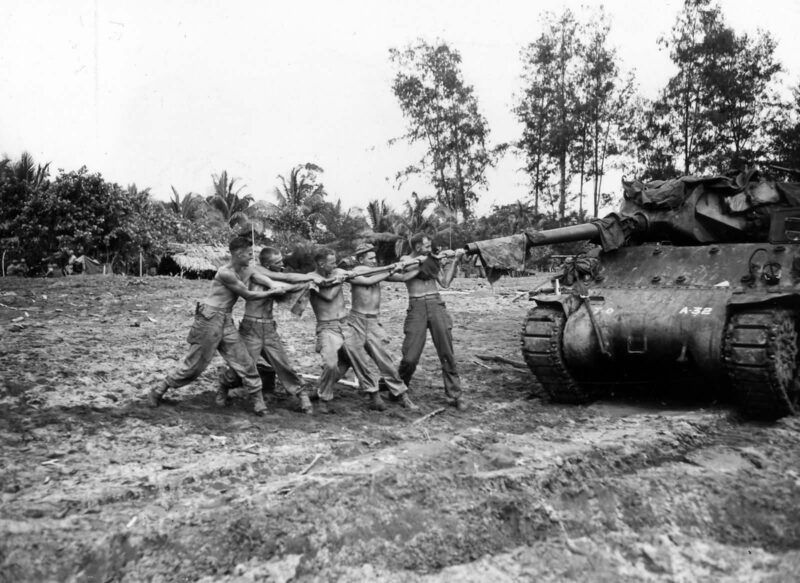 So the crew had to make a choice if the driver and co-driver were going to be able to see well or be buttoned, before the battle or movement. 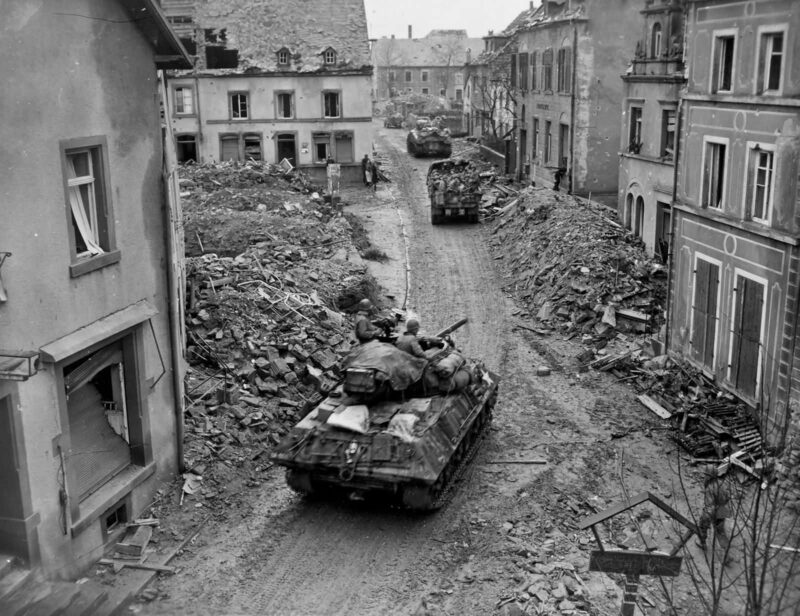 The M10 lacked a turret basket, so the driver and co-driver had an easier time getting out of the roofless turret. 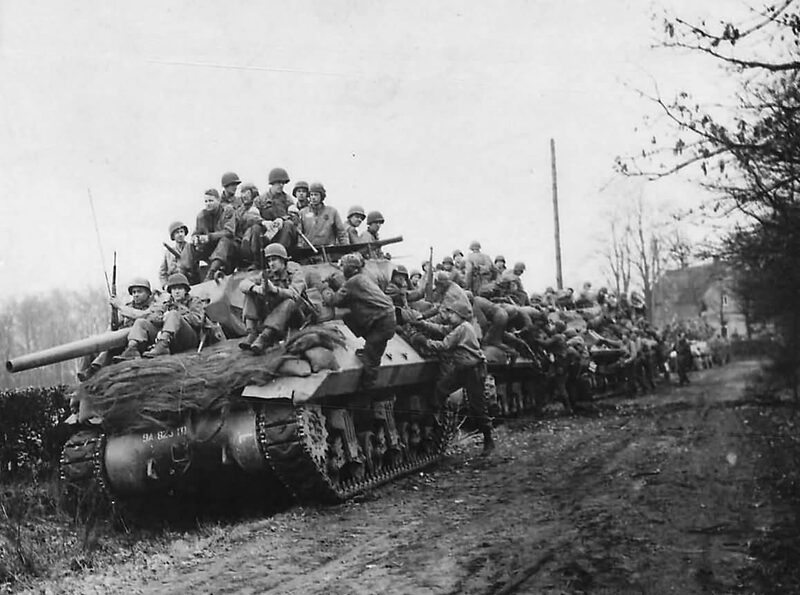 Like all American designs, it went through a series of upgrades through its service life. 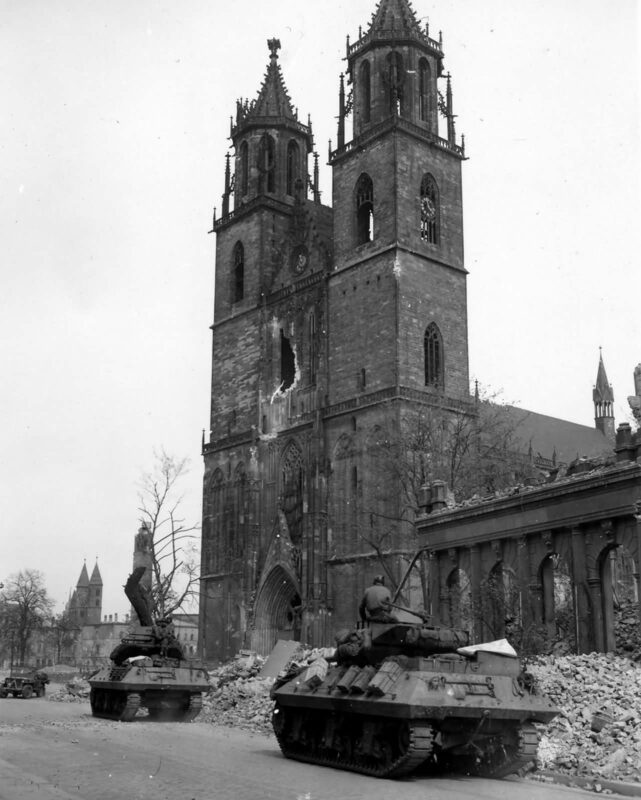 The turret was upgraded and balanced better, and the crews liked to add their own roofs. 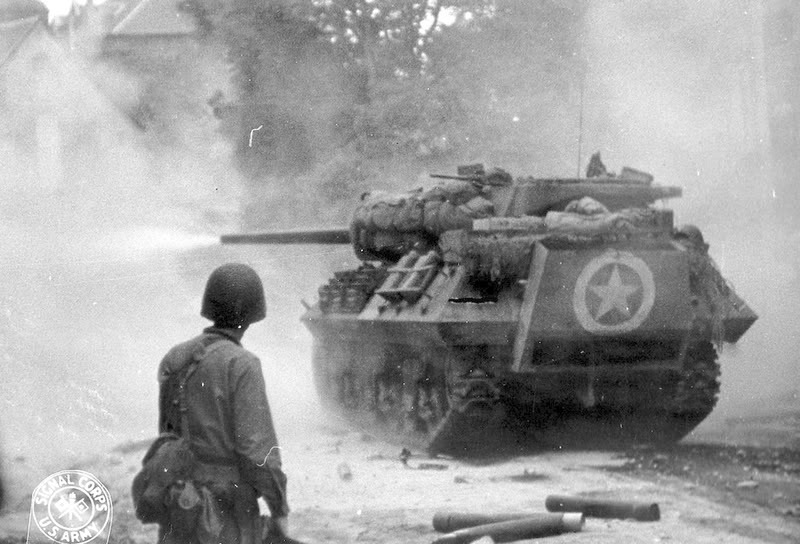 A power turret drive was never added to the tanks in US service though. 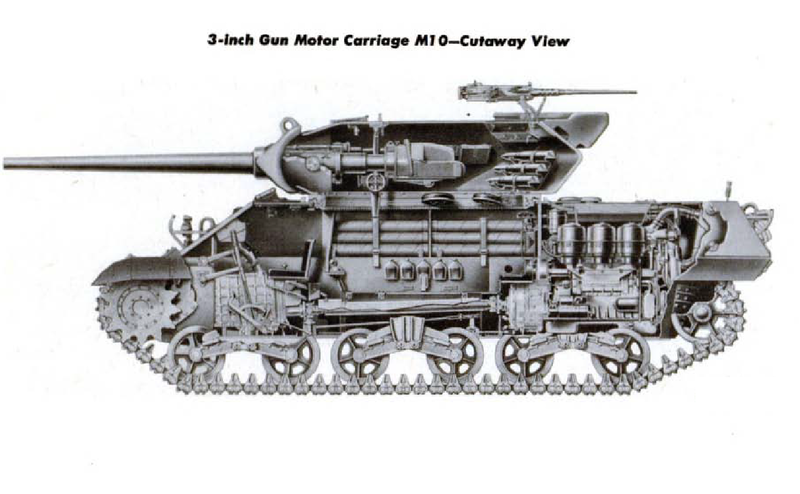 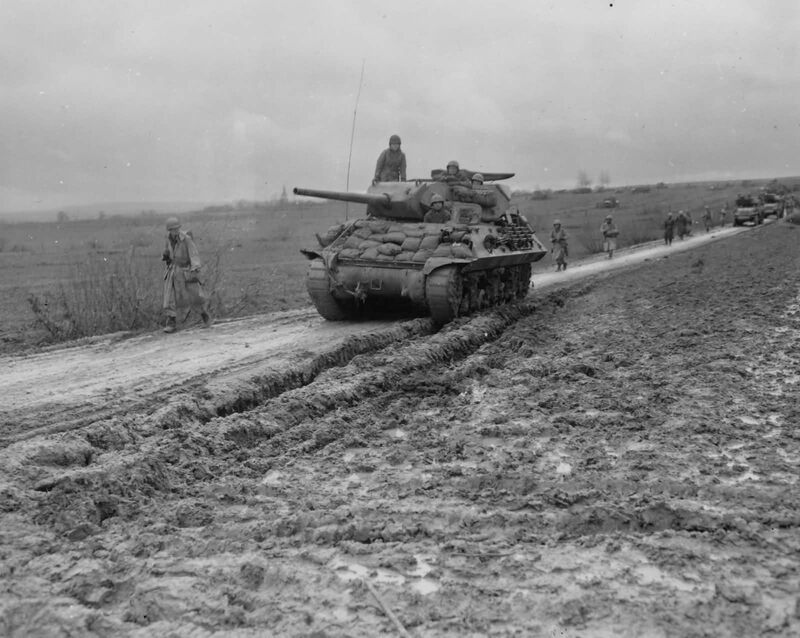 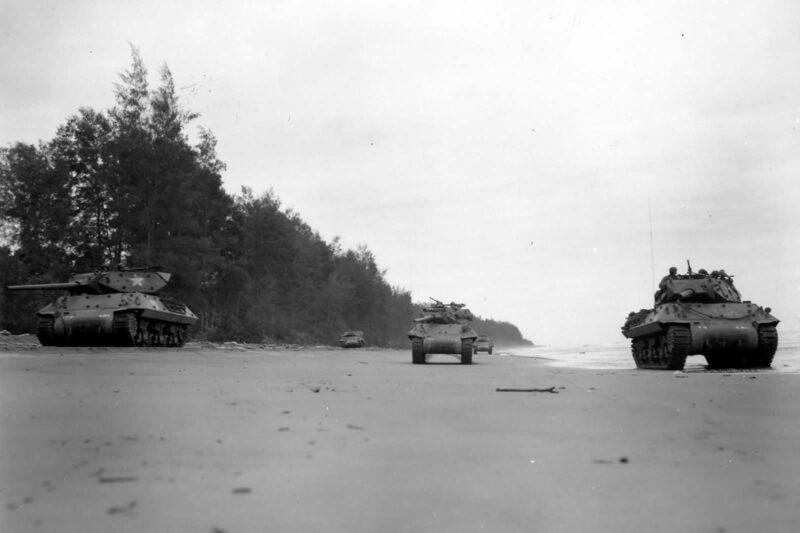 The M10 and M10A1 had all the gear aboard to be used at artillery, and they got used in this role on a regular basis. 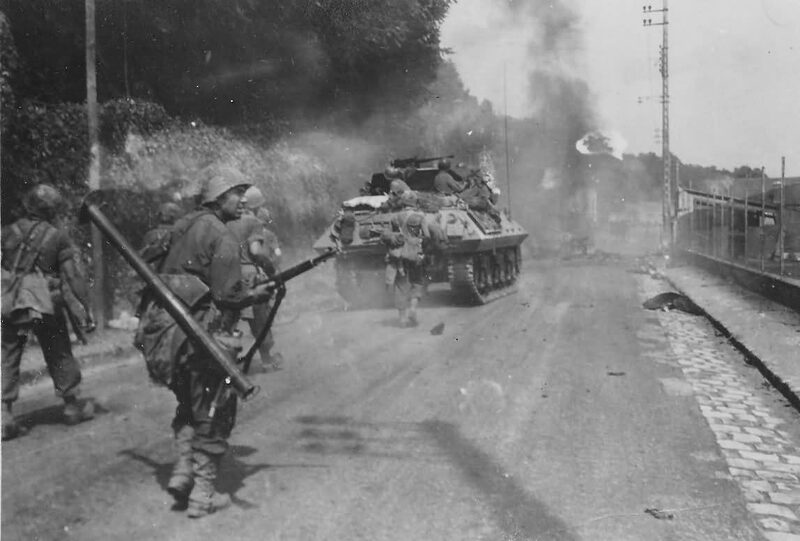 A few TD battalions spent almost as much time as artillery as they did in their TD role. 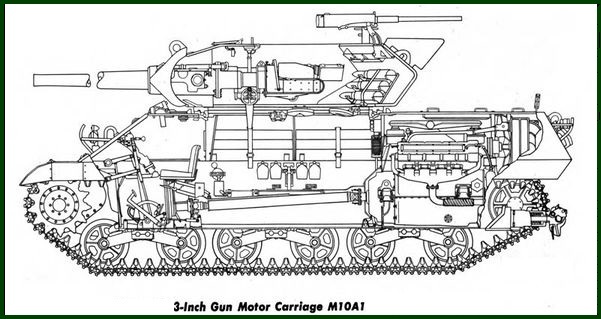 This capability was used often in Italy because the 3 inch gun on the M10 didn’t tear up the vital roads as much as the larger guns did. 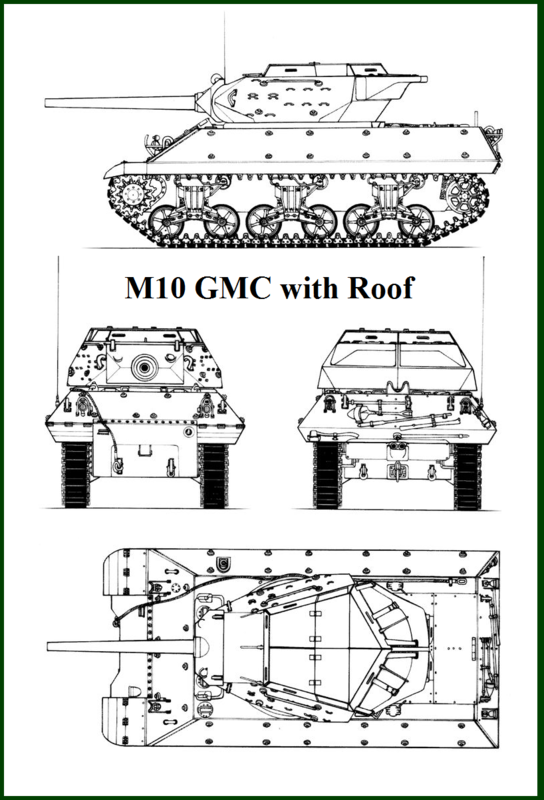 They built 4993 M10s and 1713 M10A1s. 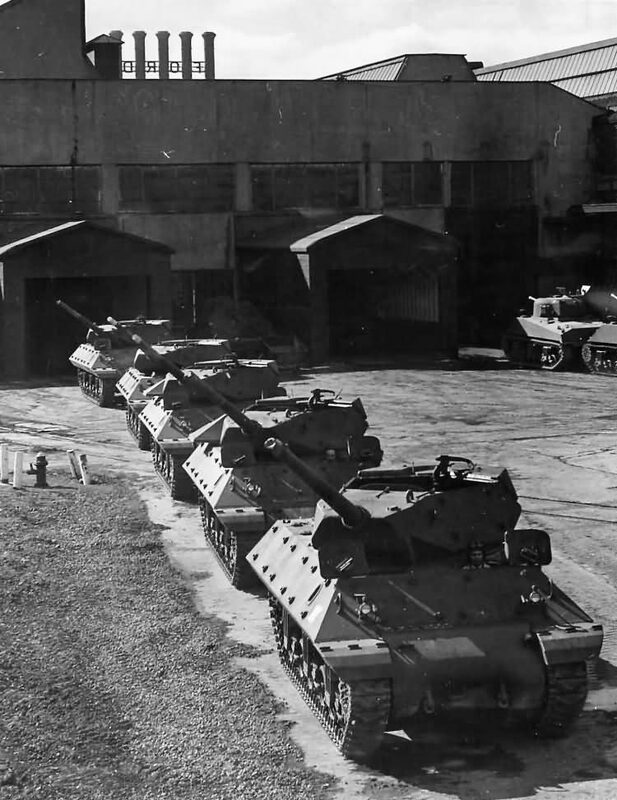 At first, only M10 TDs were authorized for service overseas, and the M10A1, even though found to be automotively superior, was to be used in stateside training only. 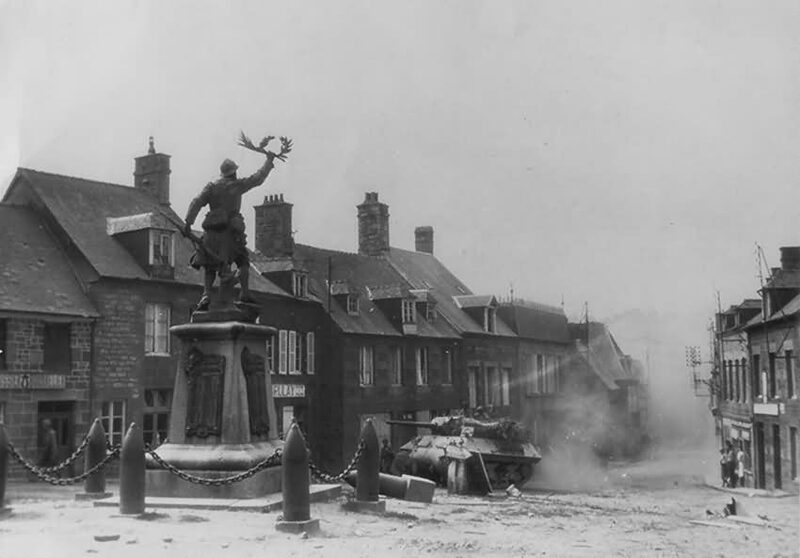 There was some doubt about the usefulness of the motorized TD before the Normandy landings, and production of the M10 was halted as many TD units were converted back to towed gun units or disbanded. 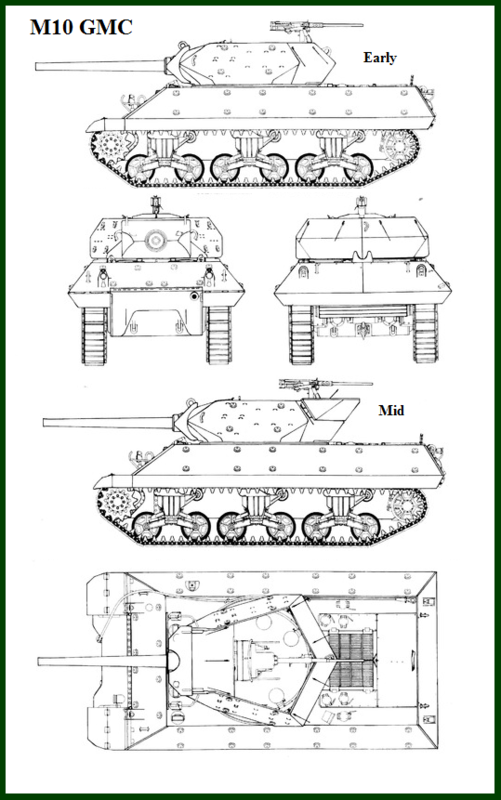 The M10 saw action in North Africa, Sicily, Italy, and Northern Europe, and various Pacific Campaigns, the most notable being the retaking of the Philippines. 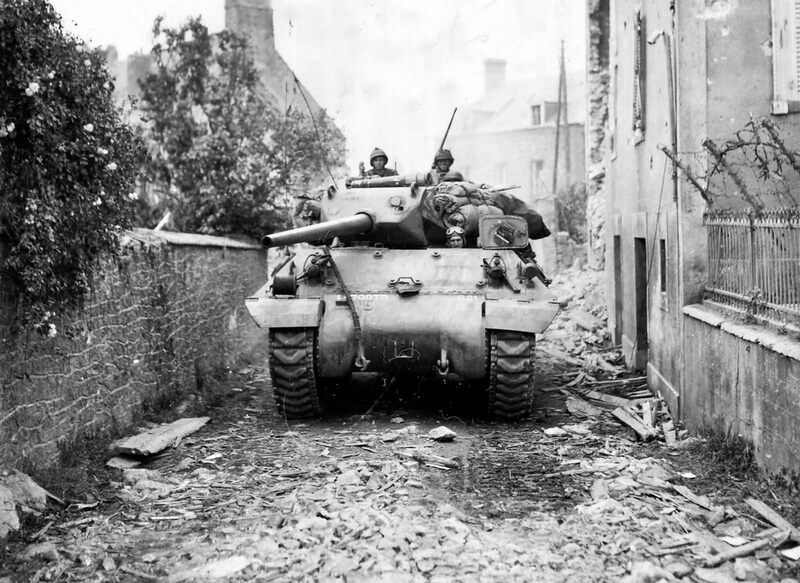 It wasn’t really until the action started after the Allies went into Normandy that it really saw a lot of anti-armor use. 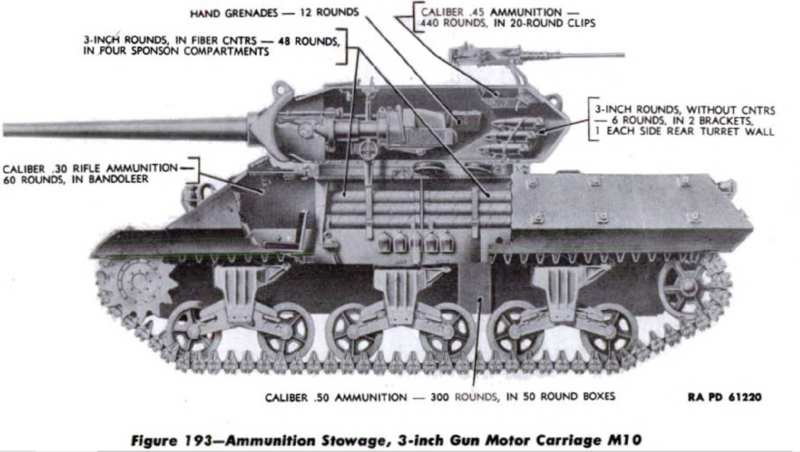 In the MTO the TD units spent an awful lot of time being used as artillery units, to the point they had to learn how to swap barrels on their 3-inch guns after wearing the tubes out. 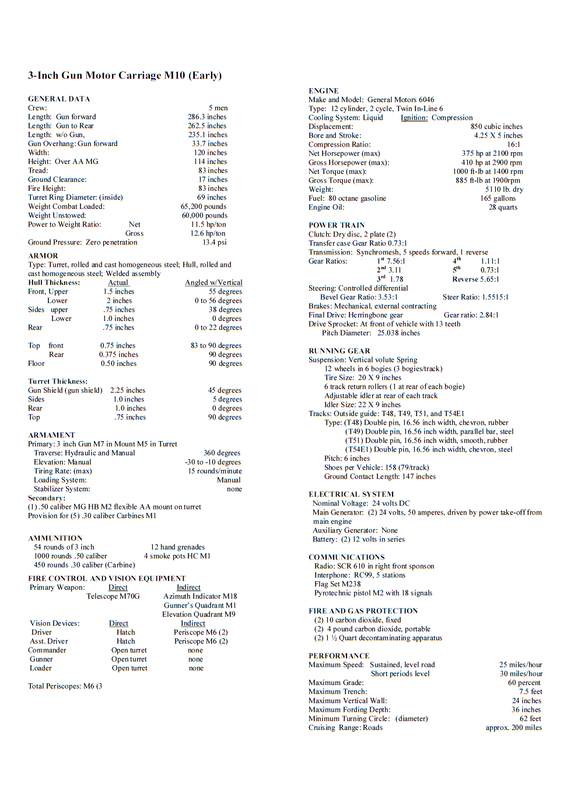 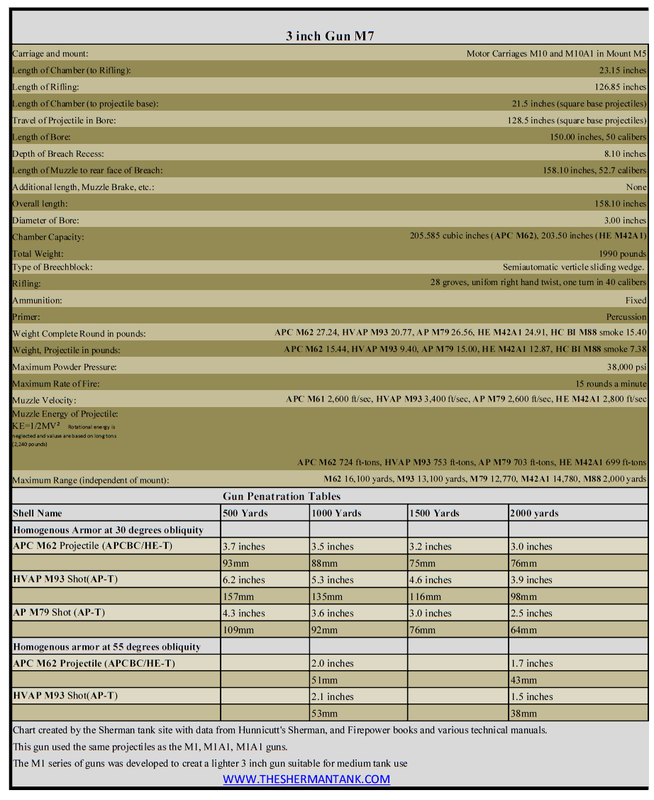 Click on the below links to get PDF version of the spec sheets. 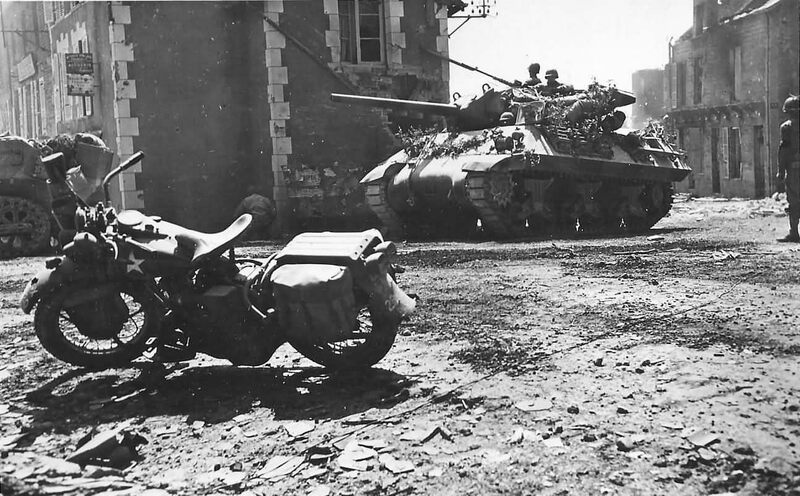 An M0 Wolverine on the move in St Fromond France. 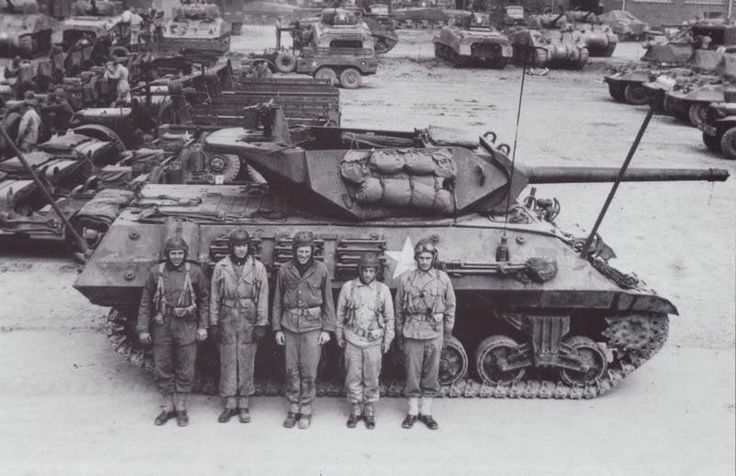 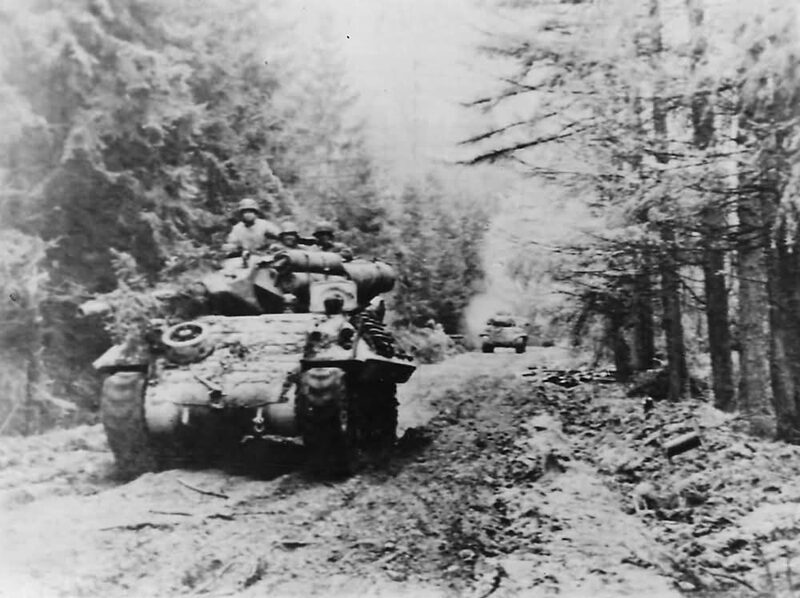 The M10 is with the 703 TDB attached to the 3rd Armored Division. 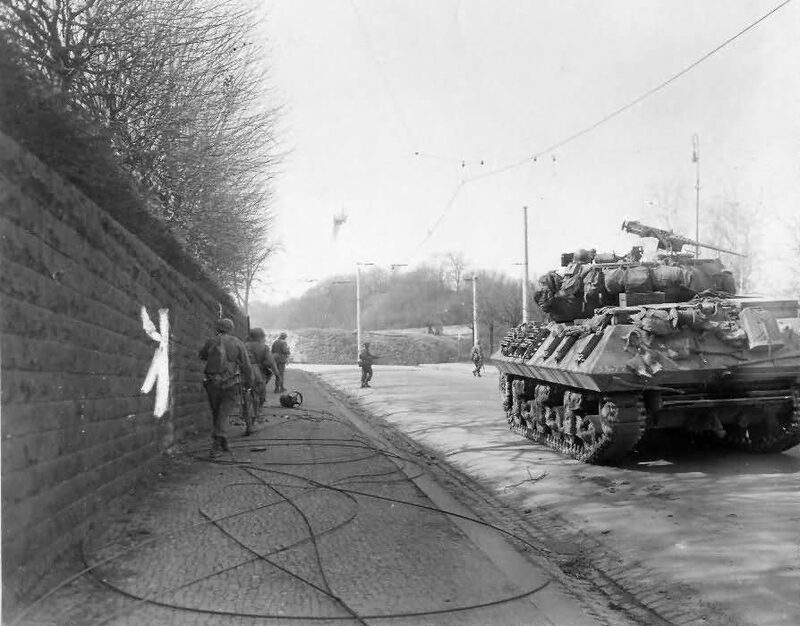 An M10 with the 803rd TDB in Ubach Germany, this M10 is clearly knocked out, at least two hits to the front, the black line is a from the censors. 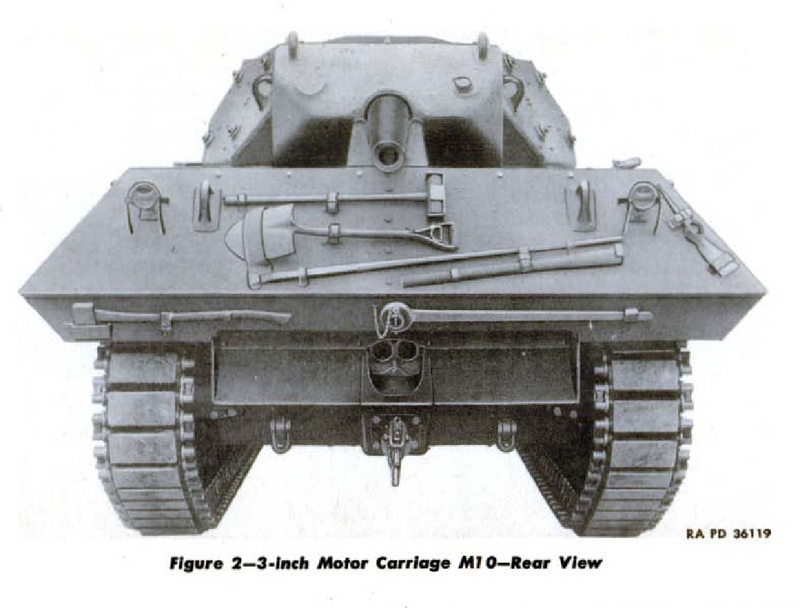 An early M10, maybe at the Ford plant. 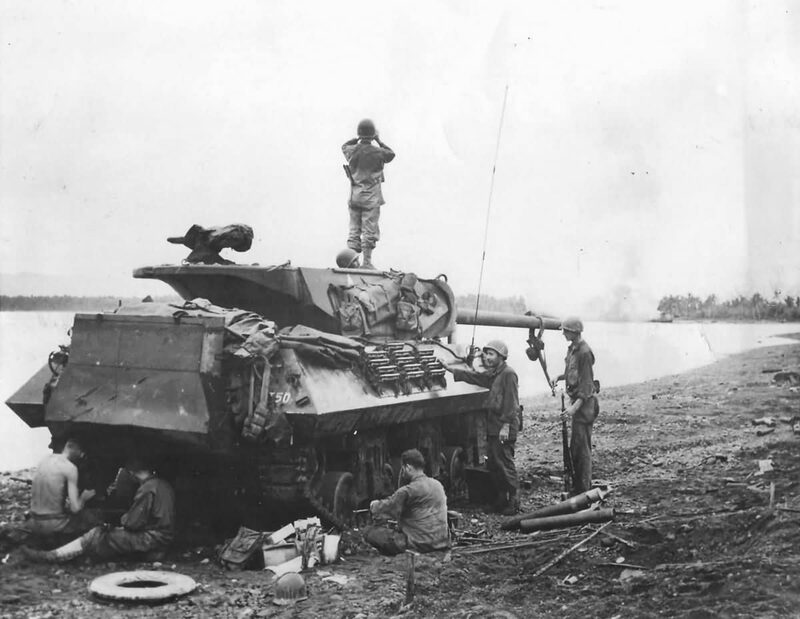 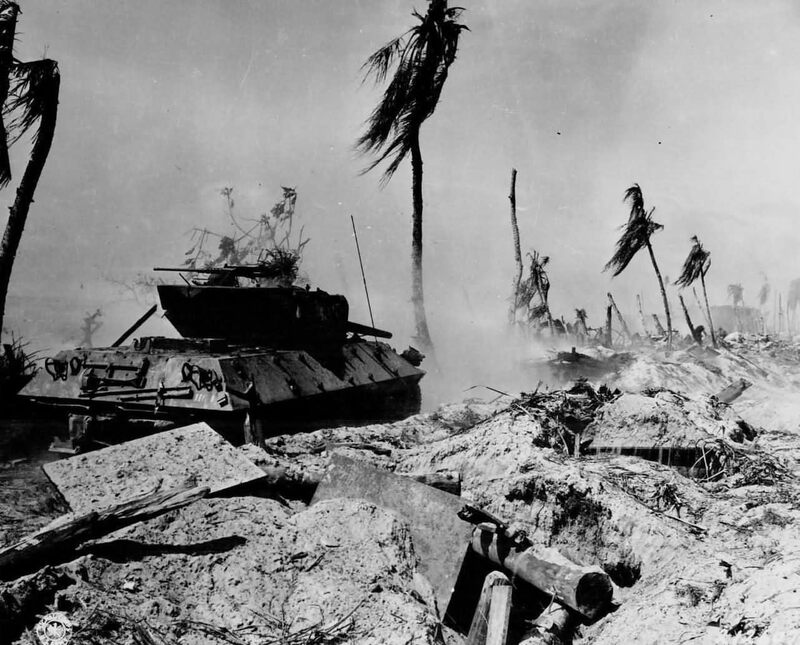 Another M10 supporting the 77th ID on Leyte in 1944, M10s in the Pacific seems like rough duty, in particular, if you think about how the tankers in Shermans operated buttoned up! 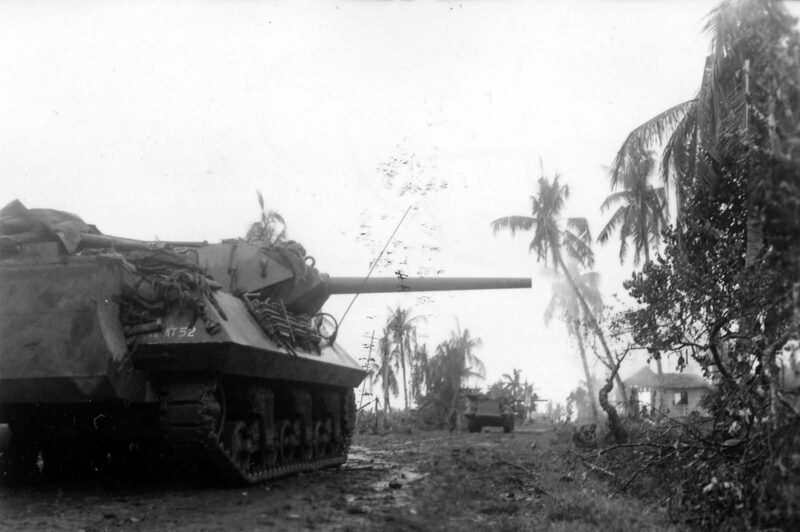 M10 supporting the 32nd ID near At Aitape New Guinea, I had no idea M10s had been used in New Guinea, one of the few places in the world there are still Cannibals in the jungles. 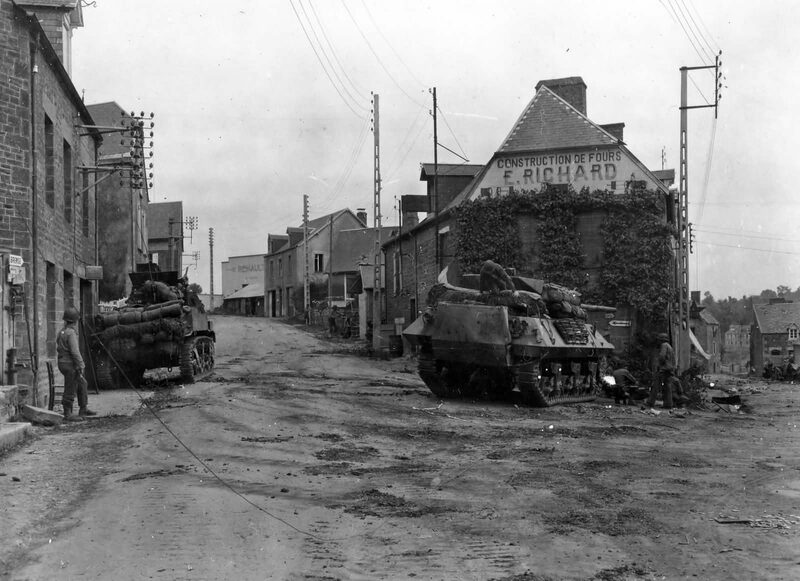 This is an M10 entering Fresnes France in 1944, unit known. 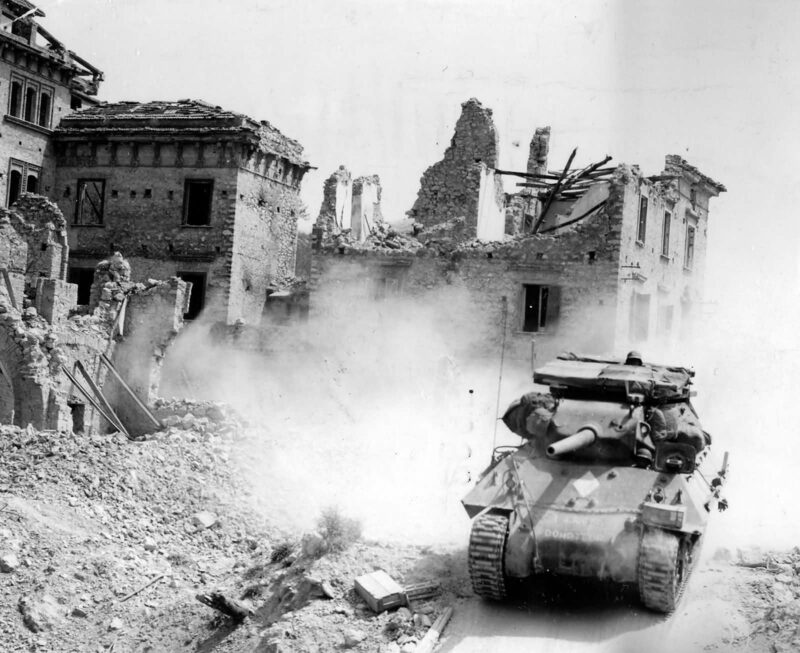 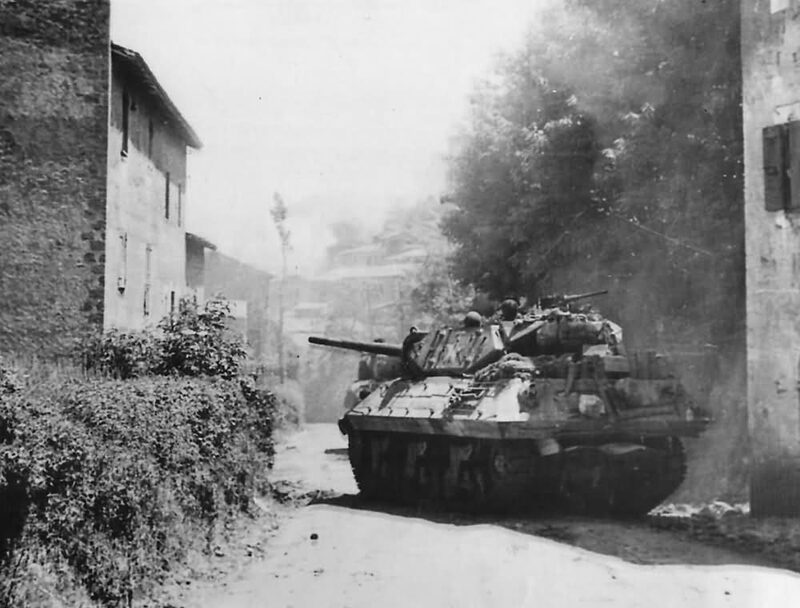 An M10 moves into Artena Italy in 1944, unit unknown. 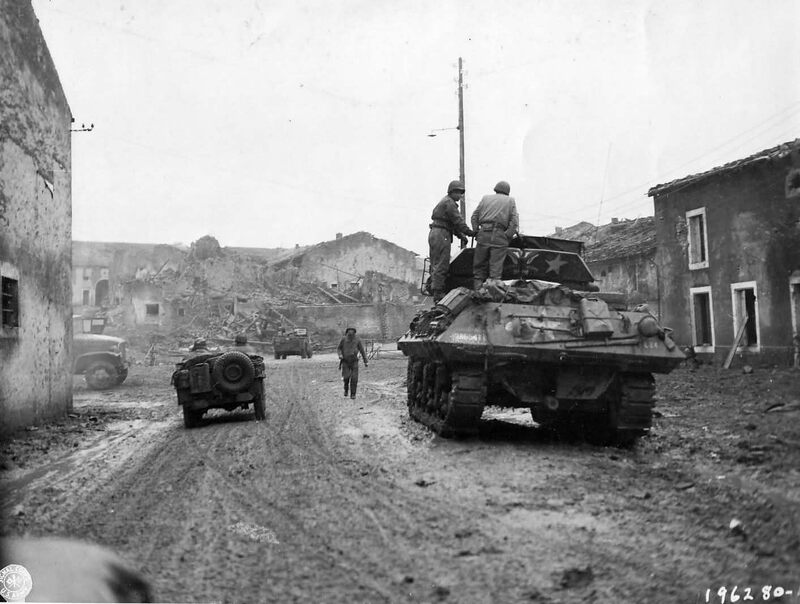 This image shows a repair crew fixing an M10 damaged by artillery or mortar fire near Anzio, Italy 1944, note the railing welded to the add-on armor points. 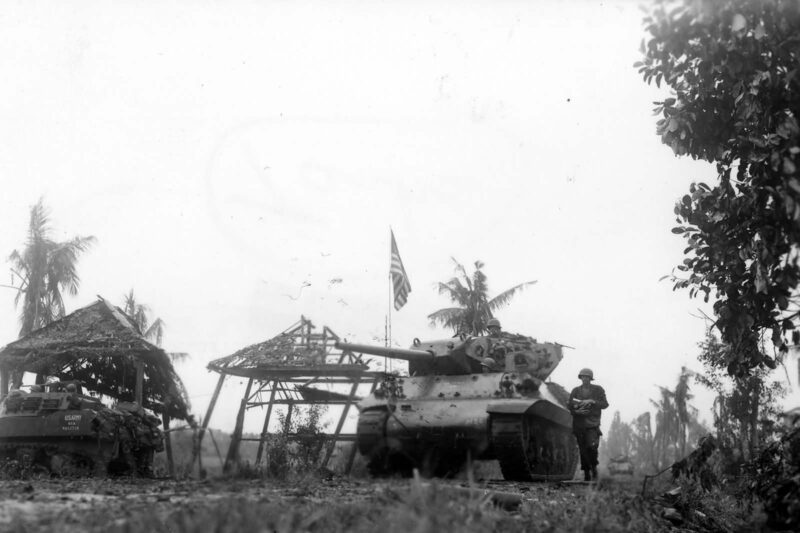 An Army M10 somewhere in the PTO probably in the Philippines. 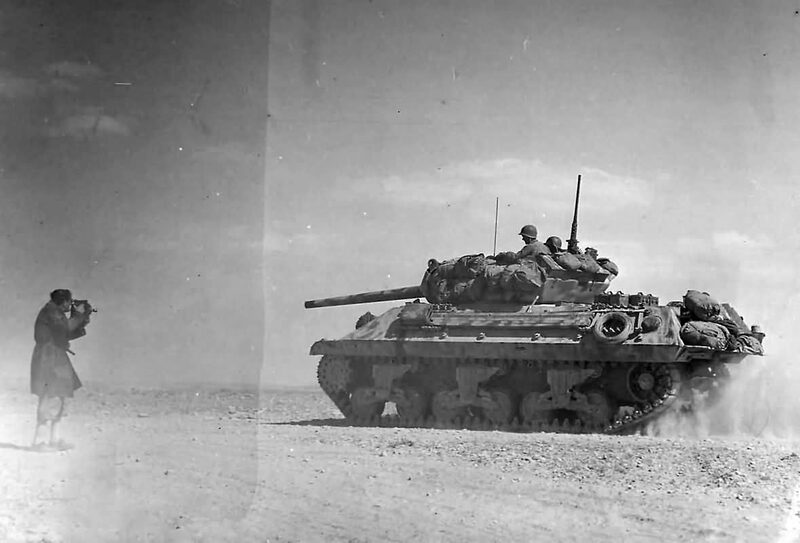 An early M10 heading to the fighting near Bir Marbott past, east of El Guettar Tunisia, in 1943. 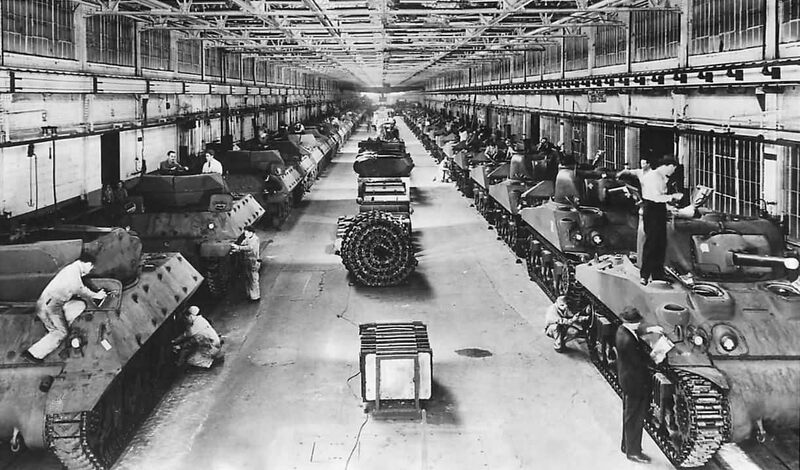 M10 tank destroyers rolling out of the Ford Factory in Detroit, 1943. 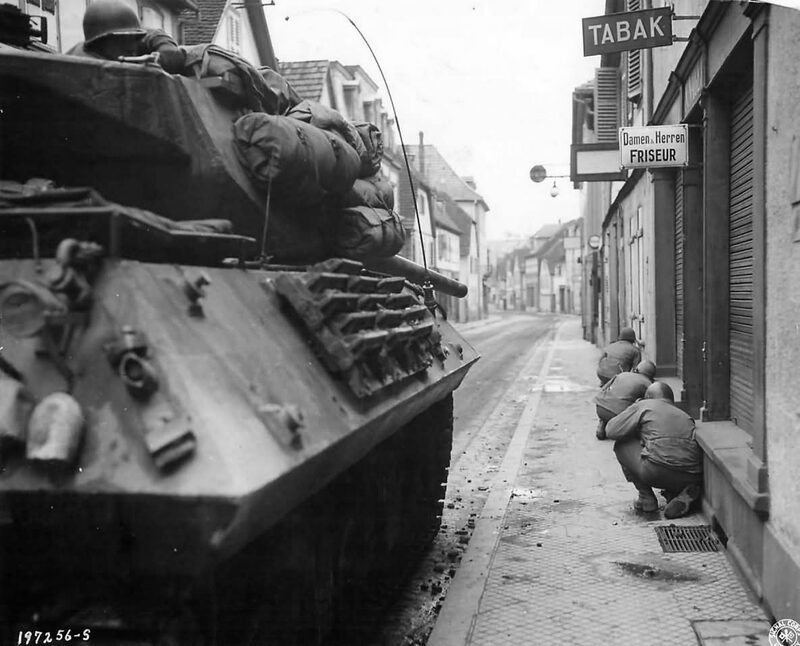 An M10 with the 803rd TDB in Ubach Germany late 44, the black mark is from a wartime censor, not damage, though the M10 is clearly burned out4. 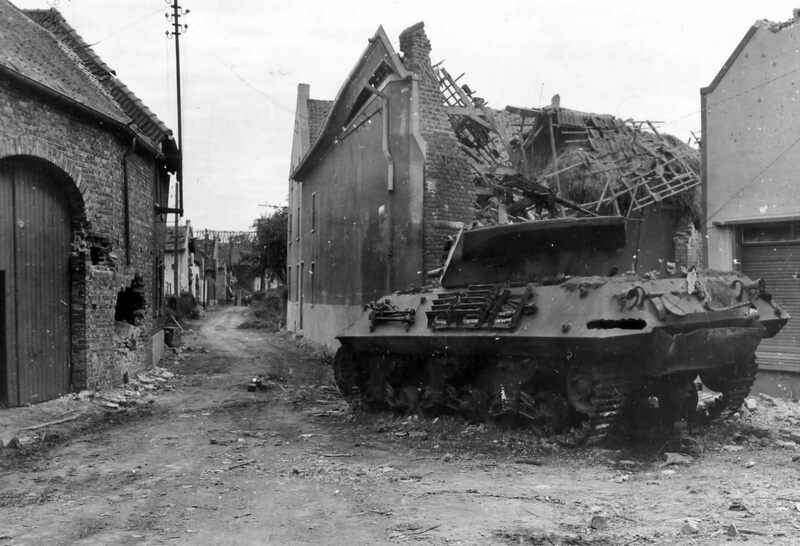 A late production M10 with duckbill counterweights and wading trunks engages targets in France. 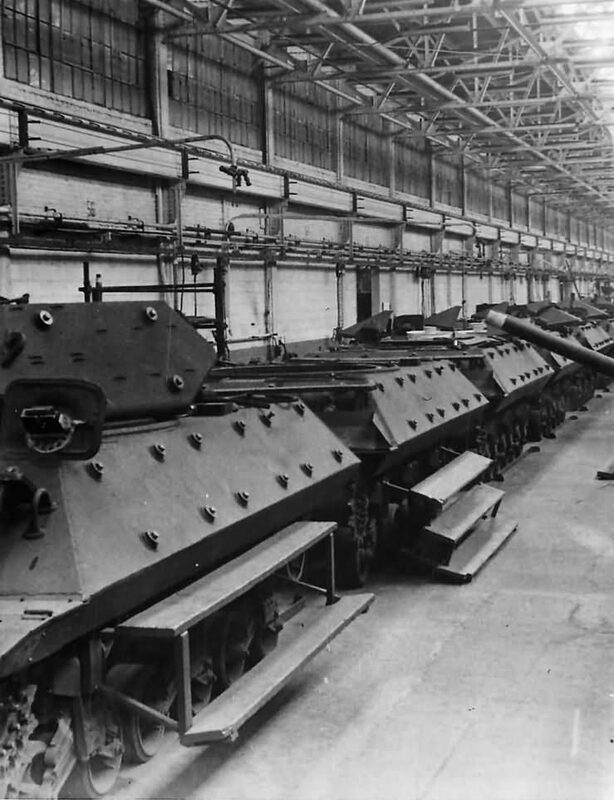 It is supporting some doughs, the black marking on the left rear hull is scratch made by a wartime censor to keep the units identity secret.